According to the recent survey by Commercial Buildings Energy Consumption, heating accounted for about 25% of the total energy consumption in commercial buildings. On the other hand, ventilation is 10 percent and cooling accounts for 9 percent of the energy consumption. The HVAC systems play a vital role in the indoor environmental quality as it helps form cleaner air and fewer noise distractions produced from the system. These help in contributing to tenant satisfaction and their physical and mental health. As today’s system technology and features are changing, Artificial Intelligence and the IoT can be put together to develop HVAC systems that provide numerous benefits, including occupant satisfaction and financial savings. 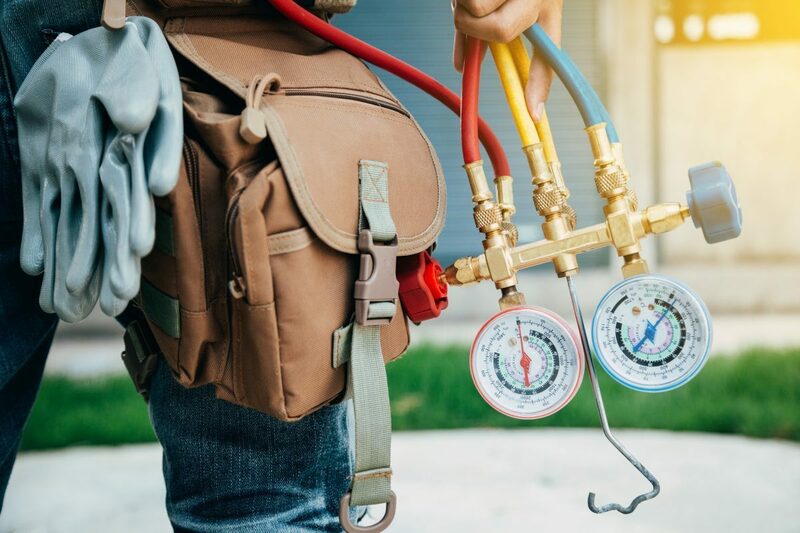 The major contributors to HVAC, for instance, residential cleaning, landscaping, arboriculture (cultivation, management, and study of woody plants), pool service, contracting, window cleaning, pressure washing, accounting, consulting, and many more are looking forward to new trends. Current HVAC trends are focussed on lowering the amount of energy used to heat and cool building facilities, and also making the HVAC processes more environmentally-friendly. In short, energy economy and tailor-fit services are driving towards this year’s trends! Smart HVAC products are important as they increase room-by-room environmental temperature and also regulate heating and cooling methods. 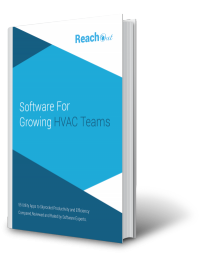 Let’s walk through the major HVAC Technology Trends. Solar HVAC systems make use of solar panels to absorb both heat (thermal energy) and light energy from the sun. For the heating application in HVAC the thermal energy is used to heat a fluid which is a mixture of water and antifreeze. This fluid runs through a heat exchanger which creates heated air that warms the building. In cases where a building requires an existing air conditioning system to be refitted to a solar-powered one, these systems make use of an evaporative cooling method, where the air is cooled by the evaporation of contained water. Air conditioning using thermal power uses both solar power and natural gas. The advantage is that energy costs are much lower. Also, it utilizes fewer moving parts than traditional HVAC systems and requires less maintenance. Energy consumption reduced by up to 30% by using ice to cool refrigerant rather than using a traditional AC compressor. The ice that is used here is produced by icer-powered air conditioning systems that produce hundreds of pounds of ice every time these are used! VRF or variable refrigerant flow includes an outdoor unit and refrigerant piping that allows for each pipe to be individually controlled. The benefits include automatic ability to adjust with current requirements, efficiency improvement, and so on. New or added sensors in the thermostat, compressor or other areas can help regulate how the system should run. The latest HVAC technologies are aimed at improving energy efficiency. Smart HVAC products, like thermostats, can be controlled by smartphone applications from anywhere, anytime. The other benefits include sensor-activated ventilation and motion-detection air conditioning systems. The sensors help in cooling only the parts of the building that is in use. This saves energy and operating costs. Dual-fuel heat pumps make use of both natural gas and electricity. When temperatures are low, gas is used and electricity provides the same benefit at higher temperatures. Methods such as underground tubing and geothermal heat pumps are used to draw heat from the ground. This ground, during summer, is used as a heat sink. Irrespective of its higher installation costs, these heat pumps can provide considerable savings in the long run. The new generation is moving closer to green construction. This is a sustainable building design where the building’s sustainability is given prior importance, where the building’s HVAC system is a major component in sustainable building design. This is because both heating and cooling systems form a major component in a facility’s energy consumption. With this idea in mind, architects use ventilation systems that use more natural airflow to reduce energy costs. They also choose different ventilation systems that use more natural airflow to reduce energy costs. It might also choose different building materials that keep the building at a more constant temperature to start with, reducing the need for high-powered HVAC. HVAC systems in green buildings are likely to have alternative power sources as well. This HVAC system is convenient and easy to use, letting you set specific temperatures for individual zones in the house. 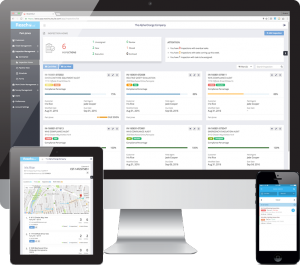 Unlike conventional systems on the market, the innovative HVAC zoning systems monitor your home and direct heated and cooled air exactly where it’s needed most. In today’s world, by using a series of dampers in ductwork, different temperature zones in a home or commercial building can be created and controlled by specific and individual thermostats. This accounts for the energy savings typically associated with ductless mini-splits. This avoids the expense of installing a new system. Geothermal HVAC systems make use of a set of pipes buried underground, called an earth loop. Geothermal heating and cooling systems heat and cool your building making use of ground temperatures. Water is run through underground pipes. As the water travels through the ground, it is heated (or cooled, depending on the time of year) by the ground’s constant temperature. An indoor unit uses a fan, compressor and pumps to provide the temperate through the building. HVAC hot water recirculation systems route cold water into a water heater while directly injecting hot water into the line when a faucet is turned on. As a result, up to 12,000 gallons of water is saved on average per year in a residential home. The advantage is that neither does the customer has to wait for hot water but also they do not have to pay the cost of continually recirculating that hot water. To know more about how HVAC is reshaping today’s technology trends, stay tuned to our latest articles and blogs!